Dr. David C. McFarland attended the American International College in Springfield, Massachusetts, where he graduated in 1982. He then attended Georgetown University School of Dentistry where he received his dental degree in 1986. Thereafter, he completed a two-year residency and a one-year fellowship in general dentistry at Great Lakes NTS in Chicago. Dr. McFarland has earned licensure in both Rhode Island and Massachusetts. He is a member of numerous professional organizations, including the American Dental Association, the Academy of General Dentistry, the Rhode Island Dental Association, the Providence Dental Chapter, and the Academy of Computerized Dentistry. Dr. McFarland also gives back to the community when he can by participating in charities such as Christina’s Smiles, which provides free dentistry to underprivileged children. He is also involved in Little League Baseball and the Elks Club. 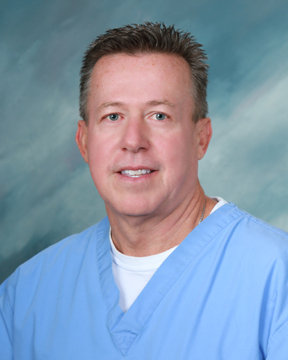 In his spare time Dr. McFarland enjoys golfing, boating, and spending time with his two sons.